Avenue Q, the highly successful Broadway musical, not often seen on the stages of regional theatre companies around the country, is the bold first production for new theatre Company Trinitas Theatricals in Bowral, NSW. 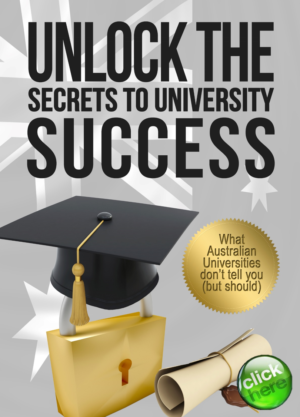 When Ashleigh Smith, Managing Director of Trinitas, and a few friends were tossing around show ideas for the brand new theatre company at a dinner party in 2016, there was never any thought that they should start with something easy. Wanting to burst onto the scene and differentiate Trinitas from the other highly successful theatre companies in the Southern Highlands, Avenue Q ticked all the boxes. Smith says the dynamic of the theatre community in the area is changing, particularly the influx of younger people into the area escaping the Sydney housing bubble, and Oklahoma or Annie wasn’t going to cut it for these younger audiences. Having enjoyed being involved for many years with most other theatre companies in the area, Smith and the other founding members wanted to provide a theatrical environment that would allow the talent of the highlands to stretch. Situated two hours from Canberra and Sydney, the major metro theatre scene is on the doorstep, and while breaking into professional theatre is not easy, Trinitas is aiming to give the younger theatre community members of the area the opportunity to develop the skills to get that first break. 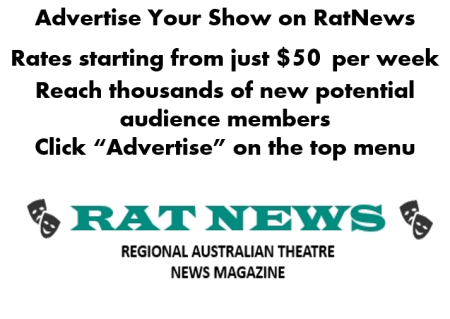 Don’t suppose you’d like to “like” RatNews on Facebook??? Trinitas is open to new ideas, new directors and certainly new (for the region) productions, which is where Avenue Q fits perfectly. The three time Tony Award winning show is a coming of age parable, which satirises the issues and anxieties associated with entering adulthood, as well as being a parody of children’s television shows – complete with puppets. Childhood promises of love, happiness, marriage and the perfect life are hit hard by reality when the characters discover to their surprise that it doesn’t quite happen that way, and they are no more “special” than anyone else. Avenue Q is well known for the use of puppets, animated by unconcealed puppeteers, alongside human actors. Central to the show, Trinitas sought the best puppets around and hired the costumes from the acclaimed production of the show at Campbelltown in 2014 who spent $30,000 just on the puppets to replicate the Broadway production. Also true to the Broadway production, Trinitas is using cast for multiple roles, and while this gives the cast greater opportunities to characterise different roles and develop skills across different roles, from a practical sense, the theatre space for the show is not exactly cavernous – and 30 cast were just not going to fit backstage. Challenges many in community theatre can testify to. This bold production from a bold new theatre company just proves the vibrancy, enthusiasm and far sightedness that exists in regional Australian theatre. And while this show is no My Fair Lady, it – and the theatre company putting in on – will be one to watch.